On the weekend, I made something special. As you know, I'm a crazy Masterchef Australia fan. I've got every single books and magazines from Masterchef Aus sitting on my shelf nice and neat. So I've decided to make the famous recipe from Chris Badenoch aka the beer man, the dish is called Beeramisu. 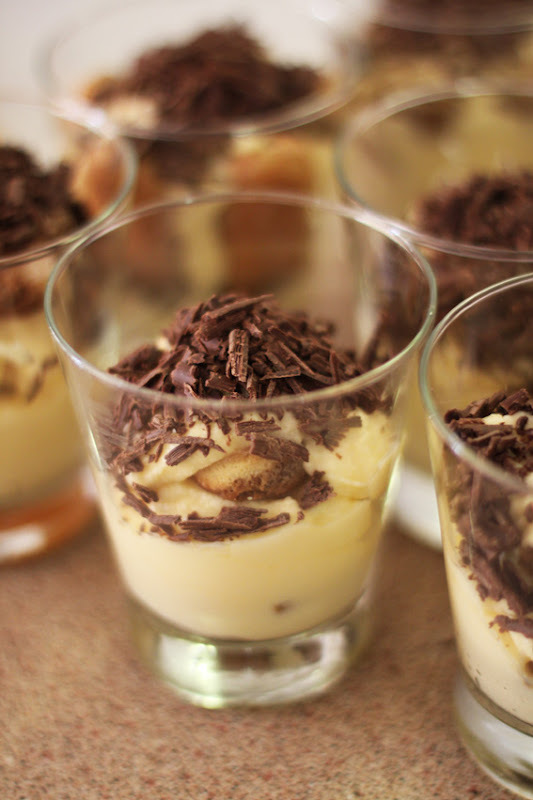 Yeaps, Beeramisu is actually from Masterchef Australia Season 1 and Season 3 will be showing anytime soon this year! haha But because recently I've eaten Tiramisu made by a friend of mine for a birthday boy during New Year Eve, and have been talking about making cakes with my sister on Whatsapp. So I've decided to make a cake this weekend for Joe's high school friend, Daniel. 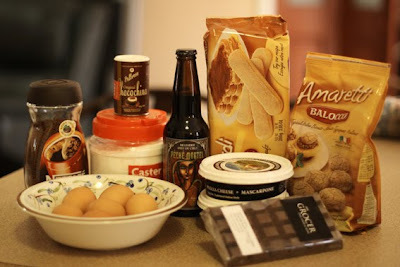 These were the ingredients that I've used for making the Beeramisu. Basically it's the normal recipe but add in the Coffee Stout. Coffee stout may be hard to get for some of you. You can always replace it with Guiness Stout+Kahlua. Other than that, I've used the Amaretti Biscuits (Almond flavor Biscuit) as well, together with the sponge fingers. I've just added a piece of Amaretti biscuit in the cup of Beeramisu as I don't want it to be too over powering by the Almond flavor. My Beeramisu turned out well! The guys love it! They've cleaned the whole cup! Maybe you guys should try it too! Something different. 1 Using electric beaters, beat the eggs yolks with the caster sugar until they are pale and thick, then mix in the mascarpone. 2 Using clean beaters, beat the eggwhites until soft peaks form. Carefully fold into the mascarpone mixture. 3 Mix the stout and coffee together and dunk the biscuits, one at a time, into the liquid. (If using the softer sponge fingers make it a quick dunk, as you don’t want the biscuits to go soggy.) 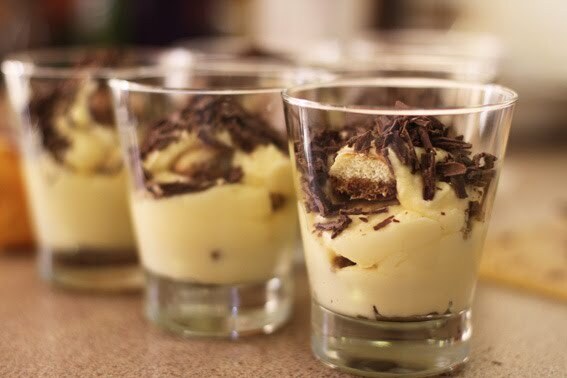 Layer the biscuits into serving glasses, followed by a thick layer of mascarpone mixture. Continue layering until you have used all the ingredients. 4 Sift the cocoa over the top and refrigerate for at least 2–3 hours before serving.